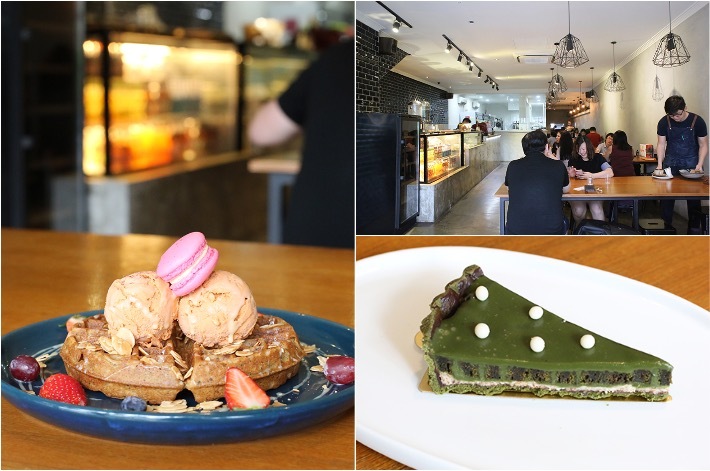 Their desserts, breakfast dishes and All-Day mains are priced below S$20, making it a hit with the younger crowd who would hang around for Sunday brunch or afternoon tea session with their friends. Featuring clean lines and a minimalistic interior, Les Pâtisseries is spacious to boot which makes it comfortable for guests to walk around. We love the addition of a sparkling marble countertop and vintage, industrial metal cage pendant lights. 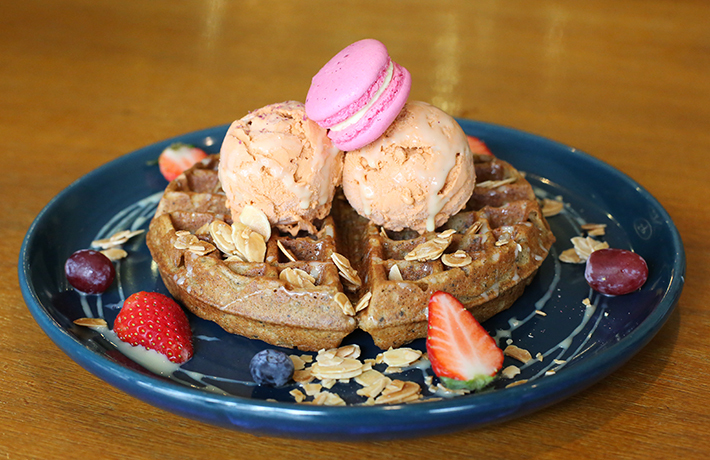 The Thai Milk Earl Grey Waffle (S$15.90) comes with crispy earl grey waffle, two scoops of rich Thai Milk Tea ice cream, almond slices and a macaron. We thoroughly enjoyed the waffle but recommend sharing it among friends as the rich flavours can get heavy on the palatte. 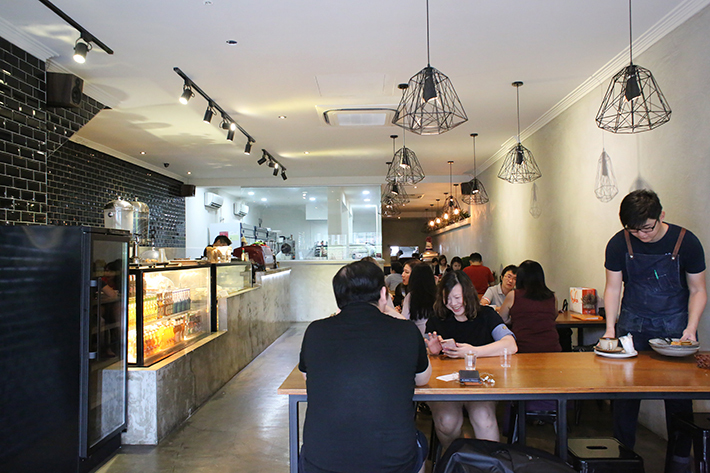 Other waffle choices you can get there include Chocolate Indulgence (S$15.90), Waffle Banoffee (S$14.50) and Summer Berries & Maple Waffle (S$13.50). 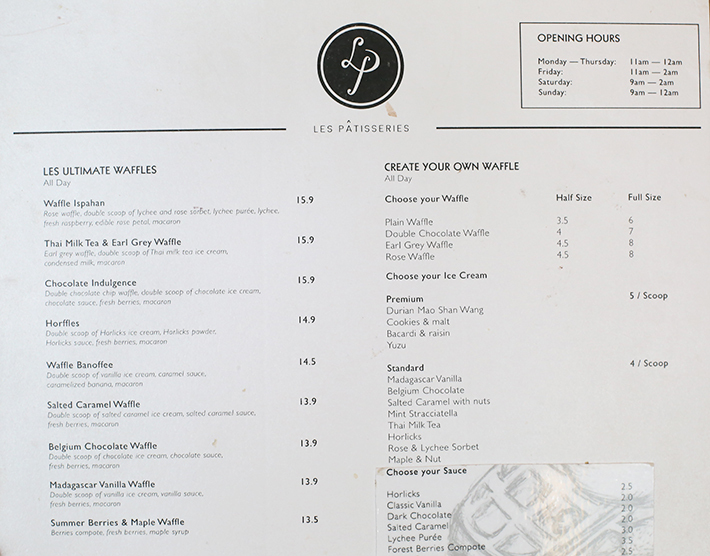 Diners can create their own waffles with various waffle and ice cream flavours as well. 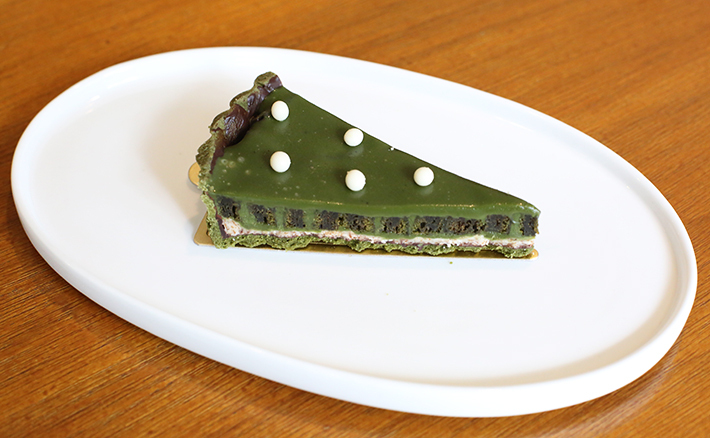 Something else you may want to keep a lookout for is the Matcha Tart (S$4.50). This is a seasonal special which was available when we visited the cafe. We love the distinct layers of matcha, chocolate and wafer which came with great textures and taste.